Well, my blogging habits have been a bit remiss but with some fun projects coming up I'm trying to get back into the habit. I joined up with the Finish-A-Long 2016 via Instagram for the first quarter (and had one finish!) but I thought I'd blog my list this time - it's too extensive for one mosaic! 1. Double star Beehive Swarm Emma Quilt - finished mere days before my daughter was born in what must have been a final flurry of nesting. Destined to be a happy picnic quilt and join us on adventures. 4. Little House in the City - after some epic and rather joyous sewing I've finished all the blocks for my Patchwork City quilt using Lizzy House blocks. I've chosen sashing fabric but need to purchase it and cut/sew to finish the top. I'm going to send this one out for quilting, an exciting first for me! 5. 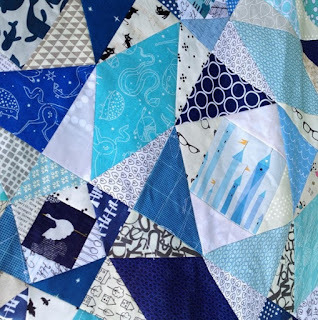 City of Steel - my Cotton and Steel City Sampler made largely of charms from the Aussie Charm Swap. Needs large off-centre border added. Fabric for borders and backing are purchased so no excuses! 6. Tula drunkards path - made from handy little off-cuts from the Tula Pink Glam Clam Quilt I made last year. This will be for my baby girl! All the pieces are cut and backing is bought. 7. Constellations Kaleidoscope - 99 paper pieced blocks are making this a headache. All the pieces are cut though so it will get done! Slowly! 8. 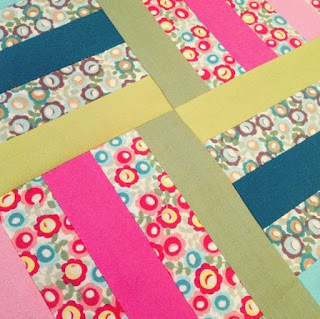 Economy blocks - little filler blocks for when I have a moment or can't think what to work on. Thirty-six made. Eighty-four to go. 9. Heather Ross Quilt - a new handpiecing project for on the go stitching. It's just getting started so I'll have to make do with a fabric pull. Bec they are all such beautiful WIPs!! Loving the Little House in the City. I need to get back to blogging...I actually have finishes to write about! !